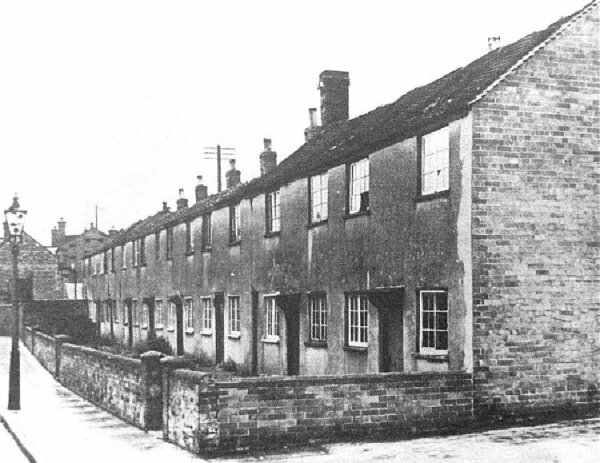 Paradise Row was a terrace of some twenty small cottages on the north side of Huish at its eastern end with, famously, only two shared privies between them. It was built as cheap housing, primarily for workers in the leather / gloving industries, between 1806 and 1831 as it doesn't appear on Watt's map of 1806 but is shown on Day's map of 1831. Nevertheless the western end of the terrace was built on the site of the Chequers Inn, a former a barn, flax shop and drying house that was still extant in 1812. Paradise Row got its name from the fact that it was built next to the disused Tabernacle burial ground, indeed this whole end of Huish was colloquially known as Paradise and recorded as such in various census returns at least until 1891. In the 1841 census Paradise Row was home to 82 persons, almost exclusively glovers and their families. The 1846 Tithe Apportionment noted that the houses and gardens (Parcel 305) were owned by the Reverend Gilbert Smith and Richard Turned leased the cottages and sub-let them. Paradise Row was demolished in 1936 and the site is now under Tesco’s car park. Many thanks to Jean Robinson for this - "Gran said that they used to hang their laundry 'out the front', and that one of the ladies had the largest knickers she'd ever seen!" 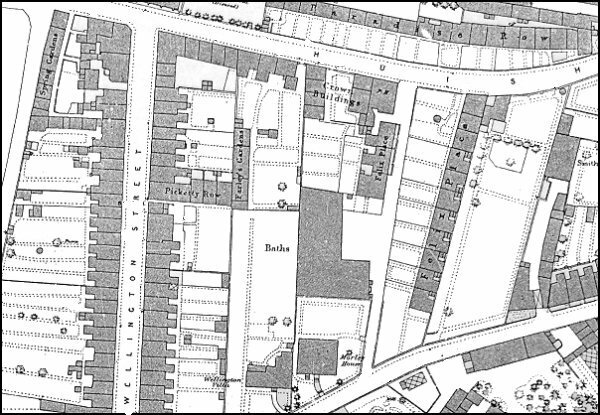 1886 Ordnance Survey showing Paradise Row at the top of the map. Paradise Row photographed about 1910.